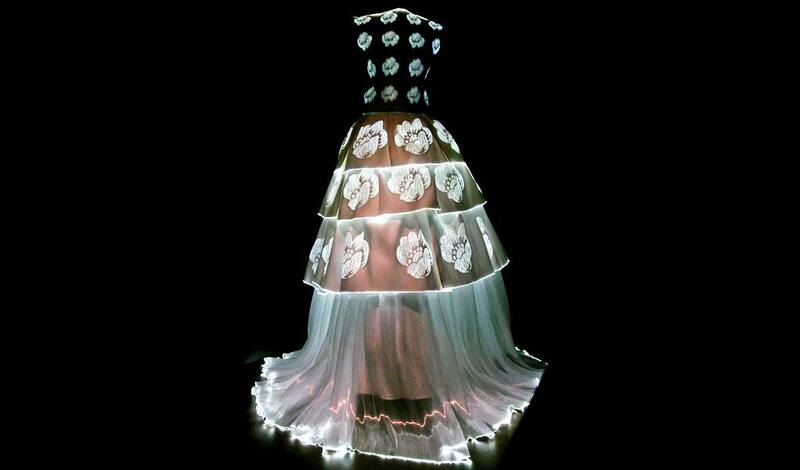 Mongi Guibane design, inspired by a wedding dress by Olivier Lapidus (1991). 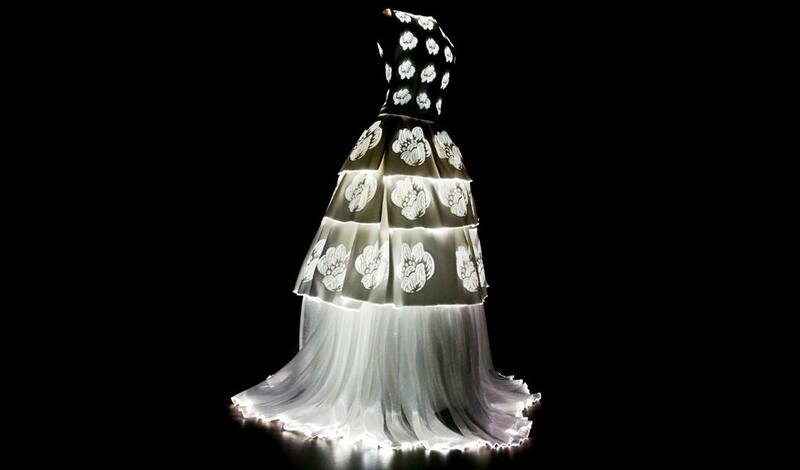 Luminous wedding dress made of optical fibres and white silk. 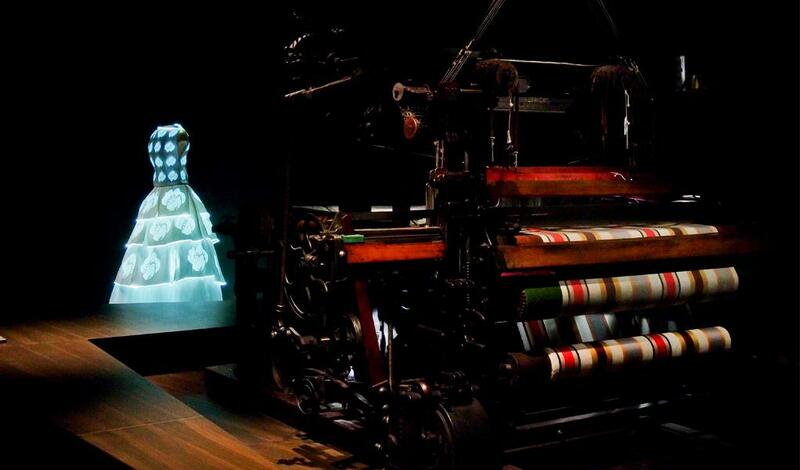 Photos by Olivier Garcin.